the Harrisburg School District. One of my other favorite teachers is Mrs. Gaughan, who fostered my love of science by making learning fun, eventually leading me to pursue a career in nursing. I attended the University of Pittsburgh School of Nursing and graduated with my Bachelor of Science in Nursing (BSN) degree in 2013. I worked for several years in both the hospital and homecare settings as a certified pediatric nurse and am now studying for my master’s degree in Nursing Informatics at the University of Maryland. I met my husband of almost 9 months, Tal Lesser, at Beth Tfiloh Dahan Community High School in Baltimore, MD. I feel blessed to have found a man who shares my Jewish values and passion for Tikkun Olam, traits we can both attribute to attending Jewish day school and, of course, to our parents. We live in the states now after having lived in Israel for the past year while Tal was studying medicine at The Technion American Medical School in Haifa. This past January, I had the privilege of welcoming my parents to my home in Israel and joining them on their tour of our collective homeland. This trip was very special, as it was my father’s second trip to Israel and my mother’s first. After seeing Israel through the eyes of her children, my mother finally had the chance to experience it for herself. I feel honored to have shared this joyful experience with both of my parents. Once again, I thank The Silver Academy for laying the foundation from which I built my life as a member of the Jewish community at large. 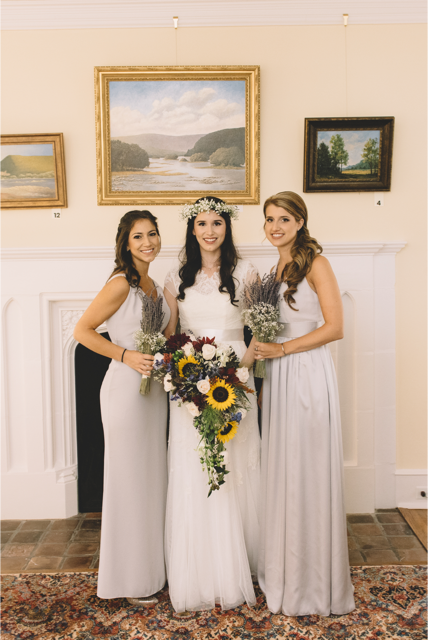 I am confident that the friends (two of which were bridesmaids at my wedding, Alexa Picciotto and Zoe Miner) and the memories that I made at The Silver Academy will last me a lifetime.